You can also navigate to and through the Bluetooth settings with just the keyboard, but that’s quite a bit more complex than simply searching for the app which triggers the service enabler directly. I don’t disable Bluetooth, and it works perfectly, except when I need the recovery mode. Then I need a USB keyboard because no matter what I try, I can’t get the firmware to recognise Bluetooth keypresses on startup, even though it’s supposed to. Bluetooth cannot work in recovery mode, because recovery mode doesn’t boot any drivers, which Bluetooth has to be enabled in order to work. Yup, it does work. Your device pairings are in the NVRAM. Or at least it’s supposed to work, according to Apple. A bit of googling finds people very frustrated that it doesn’t actually work the way Apple says it does, until they learn from elsewhere–as I just have–that one must wait until after the Bluetooth hardware is properly initialised before hammering the keyboard sequence. I’m blind, so I don’t see lights on my devices indicating they’re paired, but wait about 500 ms after the startup chime, and then press your key sequence. When I followed your instructions, all that happened was my Documents folder opened. Floyd, how are you reading websites and typing right now if your Bluetooth is not working? I guess you missed reading the article or the entire point of it. This is exactly why I would never use a wireless keyboard or mouse, plus you need to keep buying batteries, it’s a waste of money. A wired mouse also performs better in certain programs that require fine control. I tried non wired but after problems (not related to Bluetooth) I returned to wired. On my iPad, I use Bluetooth for a speaker. I’ve never had Bluetooth shut down on the iPad. I agree with your statement in large but I use rechargeable double-A batteries and the Bluetooth keyboard works well. Command + Spacebar activates Spotlight on Mac and always has. Maybe you are reading your keys wrong or flipped your command and control keys? This is configurable. The default is command-spacebar. When I change the batteries in my Bluetooth mouse and turn the mouse on again, my iMac does not “see” the mouse. How can I get the computer to connect to the mouse without rebooting the iMac? Open Bluetooth preference panel and re-pair the device. Mine connect immediately when I swap out batteries and turn the device on, assuming Bluetooth is enabled on the Mac anyway. Thanks, TJ, but how do I open the Bluetooth preference panel without my mouse? Or do you mean I should re-pair the mouse before the batteries run out, while the mouse is still working? I just read about this exact situation. Thanks, but the problem is not enabling BT…it is already enabled, and paired with my mouse. But when I turn off the mouse to change the batteries the iMac does not re-connect to the mouse when I turn it on. This just saved my night. Who would have thought? Thank you?! Thank you so much. This was super helpful. I wasn’t paying attention, and I turned off the bluetooth on my 2011 Mac. Both my trackpad and keyboard are bluebooth operated, so this was perfect. I was actually considering buying a usb mouse.. All I did was reboot, and once it turned on, I waiting a few seconds then the bluebooth connectivity notification popped up! Thank you for sharing your knowledge. I was going nuts! At this point Bluetooth should turn on and the Mac trackpad or mouse should be found. I got shut out because iMac didn’t recognize keyboard so I could not log in. I tried various online solutions which all contained the circular idiocy of telling me to do things I could only do if I could log in. Finally I just guessed and turned off the power strip, counted to 5, and then tried again. Voila. My iMac boots up and I’m presented with my log in screen. Neither mouse nor keyboard connect. I don’t have access to a wired keyboard. What do I do to connect??? BLESS YOU!!! This trick just saved my bacon!! Thank you. Thank you!! You just rescued me. I would hug you if I could. I’ve spent 45 + minutes trying to figure this out. Please, keep doing what you’re doing. I’m so glad this helped you Helen, thanks for the kind words! 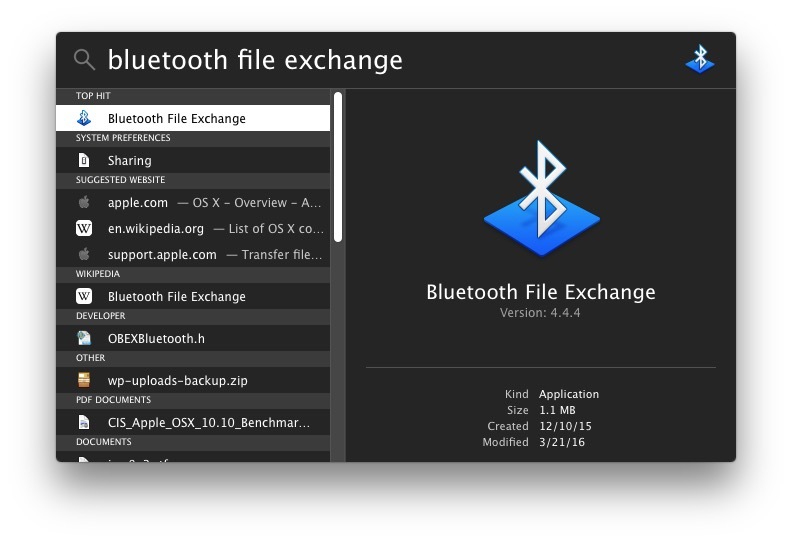 I’ve had to enable Bluetooth without a keyboard, mouse, or trackpad, connected to the Mac before, and so I figured it was good knowledge to share!